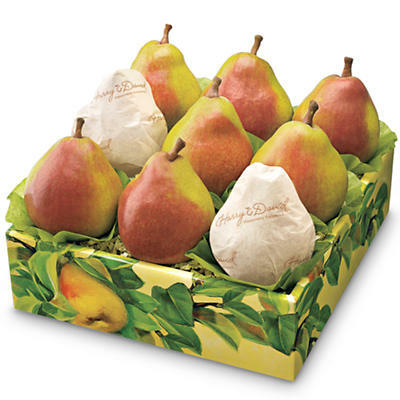 Every Christmas, a family member of mine can expect a box of these Harry & David Favorite Royal Riviera Pears ($29.95). These pears are the juiciest, sweetest, and most tender-ess pears I’ve ever had. You might ask, “Why would someone want a box of fruit for Christmas?” But trust me… no one will be disappointed. I know it’s after Christmas and that I’m super late with this post, but hey, why not try a box yourself? Harry & David also sells Maverick Pears which are the less pretty version of their Royal Riviera pears. They do have a few imperfections on the outside, but the taste is exactly the same on the inside. Use the code FSDEL to get 30% off ($18.86 for the Maverick Pears).